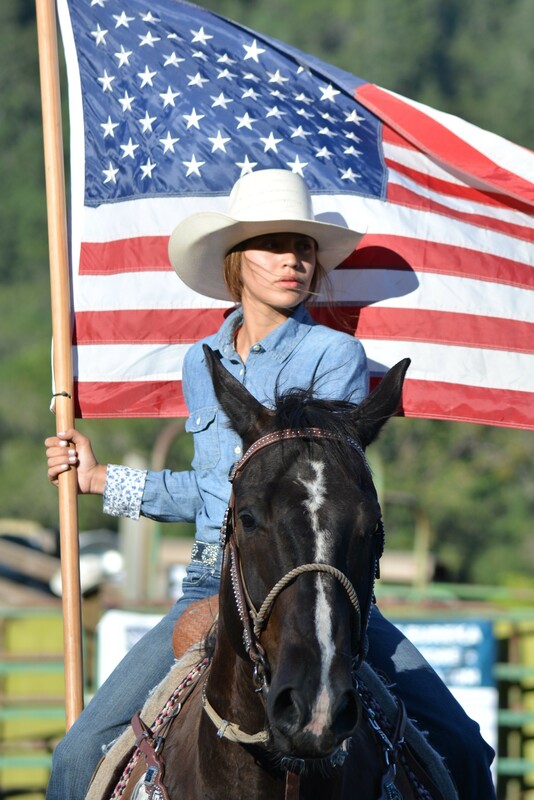 A Native woman carries the flag during the Hoopa Rodeo. 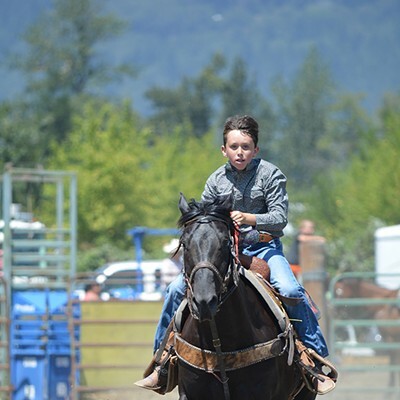 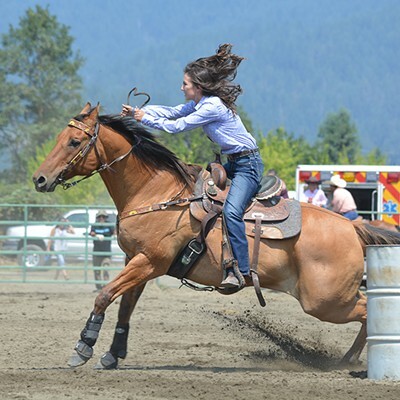 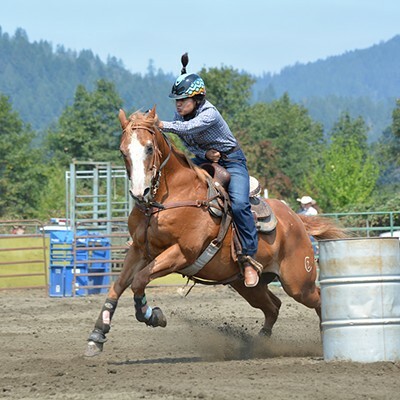 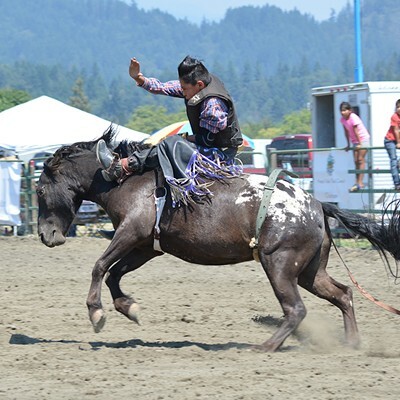 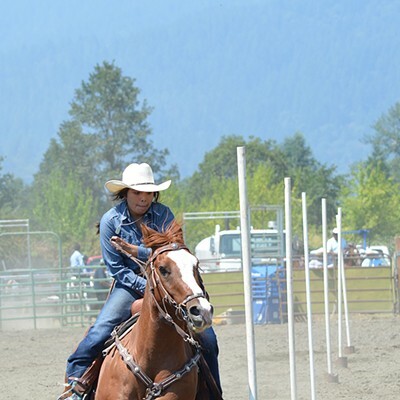 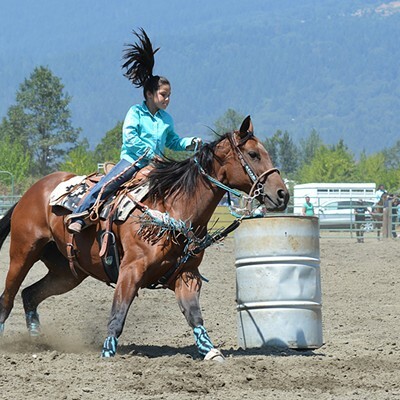 As it does every year, the Hoopa Rodeo bucked, galloped and kicked up dirt Aug. 3-5. 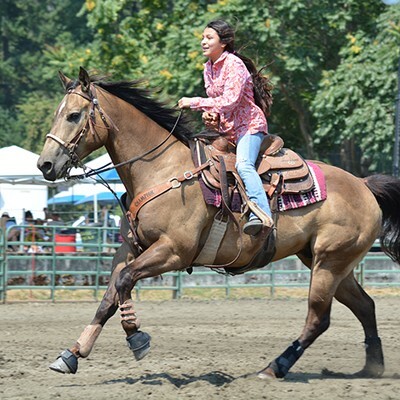 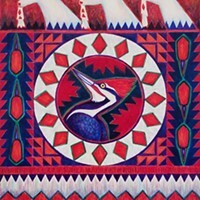 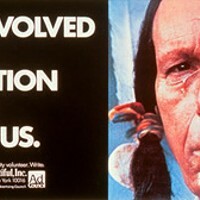 Native riders from California, Oregon, Nevada, Washington state and beyond came to compete. 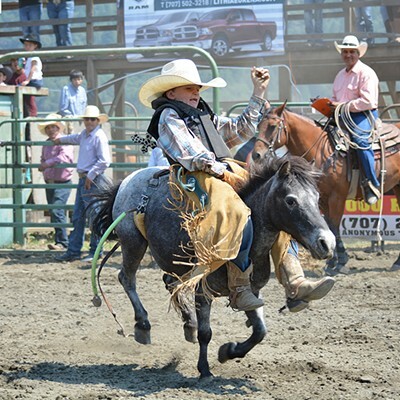 Both adults and young ones only a few hands high rode broncs (or mini broncs), zigged and zagged through the pole bending competition and sped through the barrel races. 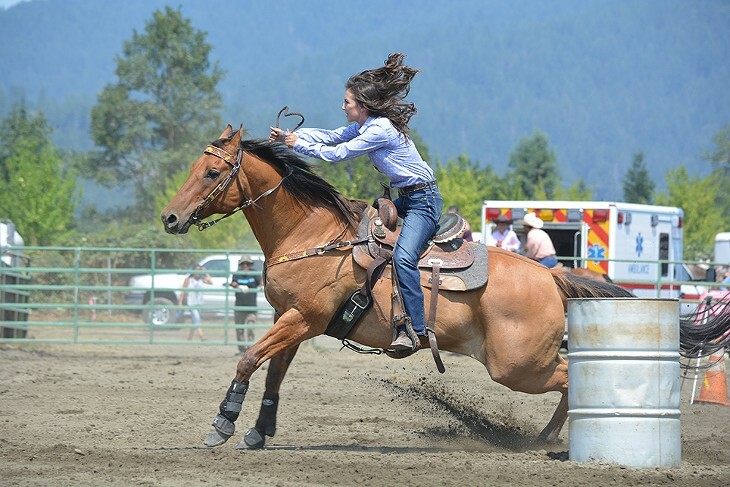 Photographer Eve Freedman was there shooting the action; enjoy her slideshow of the riders and their animals below. 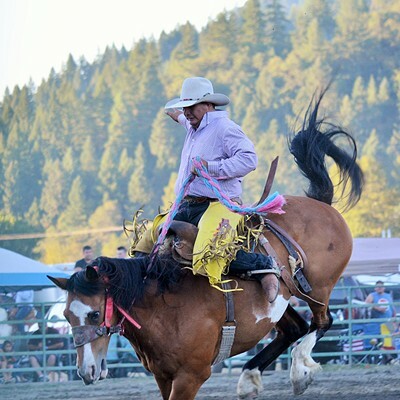 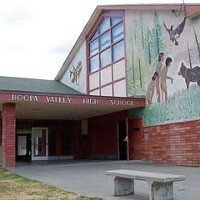 Read more about the Hoopa Rodeo in Linda Stansberry's award-winning story on the tradition and community that keep it going.